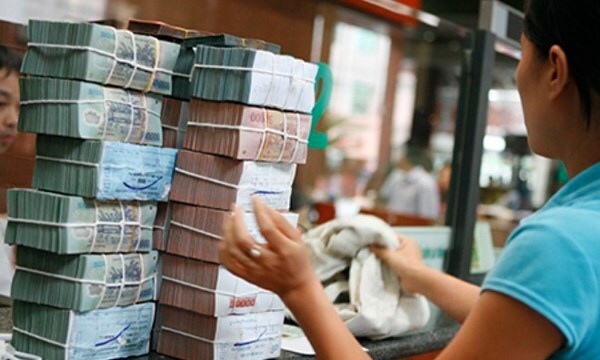 According to the State Bank of Viet Nam, in the first eight months of the year banking credit grew at 10.23 per cent compared to 4.33 per cent a year earlier. It is expected to grow at 15-17 per cent this year. It might well be considered good news indicating the economy is on the mend. But there are some worries, especially since a considerable amount of money has been lent to buy or develop property, one of the four categories of borrowers with the highest bad debts as of April 30, according to the National Financial Supervision Committee. It had its genesis in the bursting of the property bubble in early 2008. By then a huge number of individuals and companies had borrowed money from the banks at interest rates as high as 25-27 per cent to speculate in property. When the inevitable bust came, no one was able to sell their properties and repay the banks. It also took down many property developers, who were caught in exactly the same trap – an irrational demand causing a scramble to build even if it meant borrowing at ridiculous rates. As of April this year they together accounted for bad debts of 11.4 per cent of total loans. Analysts attribute the strong credit growth to the sector to its indubitable recovery and banks' efforts to support housing. The Government has also come up with several policies to support the industry, one of which is to reduce the risk weight assigned to loans to the property sector from 250 per cent to 150 per cent. The central bank allows banks to use 60 per cent of their short-term funds for medium- and long-term financing against only 30 per cent before. Enthused, most banks have been offering preferential credit for property projects and to home buyers. There is also a lot of pent-up demand for buying houses, and with lending rates falling to around 7 per cent, many are availing the opportunity. But there are legitimate concerns that if the real estate market develops too strongly and into the realm of speculation, it could again cause a bubble. Others dismiss these concerns saying a reprise of 2008 is not possible in the current context. They point to the 2014 Law on Real Estate Business which requires housing developments to be guaranteed by banks to protect buyers. This means if a developer fails to hand over a unit as agreed in the sale or lease contract, the buyer or lessee could demand a full refund. Incorporated in the law for the first time, the provision is intended to ensure that developers are financially viable and buyers get full security. This also means the property market will be healthier and more transparent since lenders need to carefully scrutinise projects before providing guarantees. In the first half of this year eight banks listed on the stock market, but their prescribed capital did not change much except for the Joint Stock Commercial Bank for Investment and Development (BIDV). Its legal capital increased from VND28.11 trillion (US$1.25 billion) to VND31.48 trillion ($1.4 billion) after it merged with the Mekong Housing Joint Stock Commercial Bank. By capital size, equitised State-owned banks remain the biggest players, with Vietcombank, VietinBank, and BIDV topping with chartered capital respectively of VND54.6 trillion ($2.48 billion), VND45.83 trillion ($2.04 billion) and VND35.24 trillion ($1.6 billion). But they are not the most profitable. As of June 30 fourth-ranked Military Joint Stock Commercial Bank reported the highest earnings per share – representing a company's profit divided by its total number of shares — of any listed bank. It was VND2,170. For Vietcombank and BIDV the EPS were VND2,076 and VND1,914. VietinBank was fifth behind the Sai Gon Thuong Tin Commercial Joint Stock Bank (STB). In terms of profitability, however, BIDV topped with a return on equity (ROE) of 16.2 per cent followed by STB, Vietcombank and VietinBank. ROE is the ratio of the net profit to shareholder equity, also known as net assets or assets minus liabilities. A rate of 15-20 per cent is generally considered good. This brings us to the valuation of the listed banks' shares, for which one of the commonest measures is the price-to-earning, or P/E, ratio. It is obtained by dividing the price of a stock by the company's EPS, meaning the higher the P/E the more an investor is willing to pay for a stock. MBB has the lowest P/E of 6.9 while STB also has a much lower P/E than the banking industry as a whole (16.5). Analysts believe it is unlikely that deposit interest rates will rise any further or lending interest rates will go down more. In the last few months there has been a shift from bank deposits to other asset classes following excessive volatility in the foreign exchange market and clear recovery in some areas, especially the property market. Meanwhile, credit growth was very strong — 10.23 per cent in the first eight months of the year compared to 4.33 per cent a year earlier. As a result, banks were forced to increase deposit interest rates to sustain liquidity. Many banks hiked the rates by 0.2-0.3 percentage points. Sacombank, for instance, has made three adjustments to its interest rates since August. The latest one pushed the interest on 12-month deposits up by 0.2 percentage points to 6.3 per cent, and on 24-month deposits by 0.1 percentage point to 6.4 per cent. An Binh,VIB, ABBank, and SeAbank have also raised their rates by 0.2-0.3 percentage points. But analysts said a further increase would not be easy due to certain reasons. For instance, the dong-dollar exchange rate is expected to remain steady for the rest of the year because the US has decided not to hike interest rates now and the Vietnamese central bank has promised it will not devalue the dong even if the US raises interest rates. It said it would intervene in the market and sell foreign exchange if necessary. Inflation is expected to remain very low this year meaning the real interest rate on deposits will be positive. But the recent hikes in deposit interest rates mean lending rates cannot reduce further though they are unlikely to rise either because of the fierce competition between banks. The net interest margin of the banks, which refers to the difference between the interest income generated by them and the interest they pay their lenders, is pretty low at 2.5-2.7 per cent. Besides, with bad debts still hanging over them, they have to earmark a considerable portion of their profits for credit risk provisioning.